Edwin G. Pixley is an astrographer with decade-spanning graphic design experience, having been on the payroll of several soulless Federation corporations. One day, feeling rather dissatisfied with his lackluster career, he took to the stars and set up a modest independent workshop facility in some asteroid belt in the constellation of Vela. Since then, he’s been busy with a range of endeavours in the fields of astrography, infographics, and astrogation-assistive-design. His latest project was tweaking the infamous pilot G.U.I. color customization matrix into producing improved color schemes. 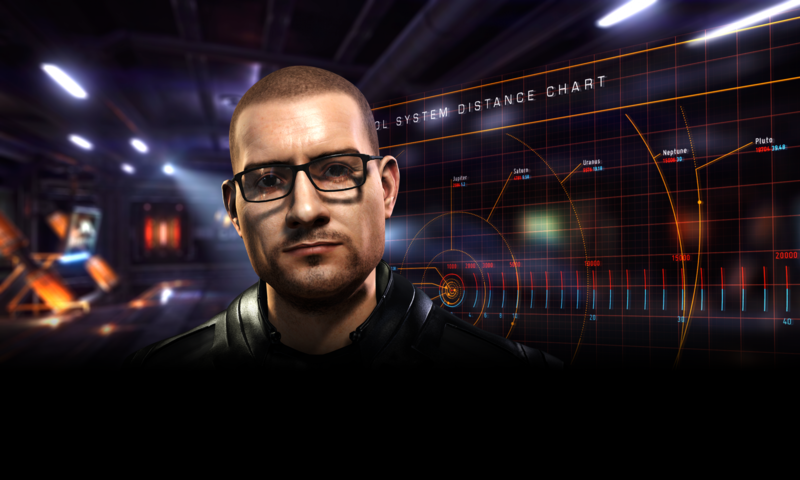 When not slaving away at his design consoles on some cool new visual project, Ed can be found gazing at the stars, earning some credits with trading or mining, prowling the cyberspace under the handle “edgepixel” or testing every beer brew known to mankind. He fancies himself as “galactic visual engineer extraordinaire” while aware he’s probably more of a general-visual-tinkerer in reality. He keeps promising himself to brush up his severely lacking combat rank past “mostly harmless” someday. Worked for all the major galactic powers, as opportunity struck. Independent, basically. If Commander Edwin G. Pixley’s activity has proven of any value to you, and hopefully worth at least a beer, consider giving him a token of your appreciation.